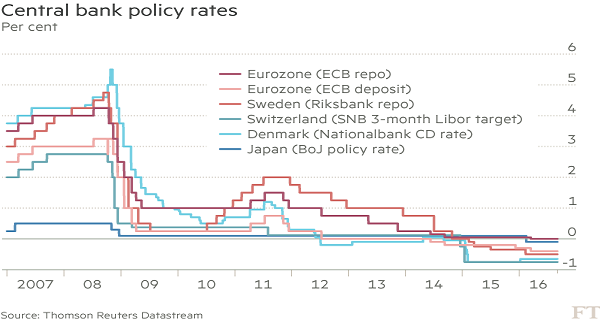 The key to the move is shown in the second chart from the Financial Times, which highlights the number of central banks who are now experimenting with negative interest rates – Denmark, the Eurozone, Switzerland, Sweden and Japan. Pension funds and other investors need to earn a positive return in order to meet their obligations, so there has been a frantic “search for yield”. 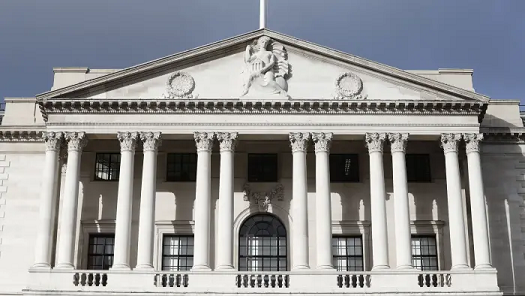 “The six months under review have seen central bankers continuing what is surely the greatest experiment in monetary policy in the history of the world. We are therefore in uncharted waters and it is impossible to predict the unintended consequences of very low interest rates, with some 30% of global government debt at negative yields, combined with quantitative easing on a massive scale. These two factors are, of course, linked as I discussed on Monday. “Sustained periods of low volatility correlate well with steadily rising equity prices. Yet concern is mounting that the current low volatility is storing up future problems, because investors are doubling up on high share prices. By selling put options on shares and indices, thereby committing themselves to buy shares should the prices fall, these funds are exposed to an equity market sell-off through both their ownership of stock and the recently written put options. Of course, central bank policies might finally be seen to work and deliver the promised economic recovery. And it is certainly hard for any investor to go against the consensus, and effectively give up on the prospect of seemingly risk-free gains, by refusing to join in the “search for yield”. But as another famous writer, Ernest Hemingway noted in “The Sun also Rises”, bankruptcy happens in “Two ways. Gradually, and then suddenly“. “Central banks have created a debt-fuelled ‘Ring of Fire’, and we will no doubt have felt many tremors (large and small) as a result, by the time my next 6-monthly update appears in September“. What was the point of spending all this money, and building up so much debt, to have achieved so little? Today’s globally ageing populations and falling fertility rate are inevitably having a major impact on the economy. But unfortunately, politicians have wanted to believe that printing money would somehow change the fact that the BabyBoomer-led demographic dividend has now become the demographic deficit of the future. Financial market developments over the past 6 months are warning us that we will all pay a heavy price if this wishful thinking continues to dominate economic policy. Global stock markets turned in a vintage experience last week for those who like horror movies. Continued sell-offs in China finally convinced some financial investors, and some senior Western policymakers, that its economy might not be quite as strong as they had assumed. 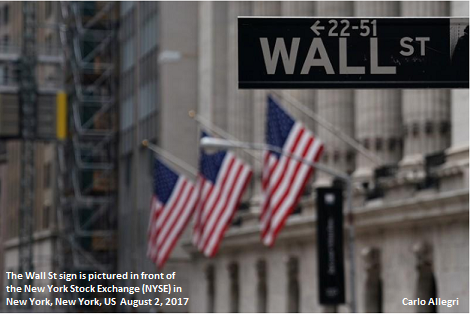 The ensuing panic led to record profits for the high frequency traders (HFTs), as the Dow Jones Index fell 1000 points at one very scary moment – and then recovered. “the argument for tightening monetary policy as early as September seems less compelling to me [now] than it was a few weeks ago”. This highlights how the role of stock markets has changed completely due to the Fed’s money-printing. They used to be a place where companies would go to raise money to expand their business. But today, companies have become the biggest buyers on Wall Street. Goldman Sachs report that share buybacks are running at a $600bn rate – around 30% of companies’ total cash spending. The Fed, like other central banks, has counted on creating a ‘wealth effect‘ via ever-rising stock markets to create economic recovery. In turn, this has encouraged hedge funds like Bridgewater to borrow heavily in the belief that the Fed would never let markets fall. “New highs for margin debt have not been good news for investors in the past. The astonishing surge in leverage in late 1999 peaked in March 2000, the same month that the S&P 500 hit its all-time daily high…. A similar surge began in 2006, peaking in July 2007, 3 months before the market peak. So Dalio is therefore quite right to suggest that more QE is needed if stock markets are to move higher. But this could be a very risky move in a US Presidential election year. Populist candidates such as Trump and Sanders might well ask what had happened to the $4tn the Fed has already spent on QE since 2009. “His view was that the lower oil price would help to keep inflation low, and so delay interest rate rises till Q4 2015. This view means he has to continue investing in the markets, even though he thinks they are all wildly over-valued. His argument was simple, namely that the Fed and Bank of Japan and others are forcing him to invest in stocks as the money earns nothing sitting in the bank. He is being effectively held hostage by the central banks. It could be a fun-packed autumn for those who love horror movies, whilst this battle is fought out in the markets. Crude oil prices continued to fall towards $30/bbl last week. Markets are finally starting to recognise, as the BBC reported last year, that ‘China fooled the world‘ with its stimulus programme. It had not suddenly become middle-class by Western standards in 2009. Instead, aided by developed country stimulus policies, its own stimulus had helped create a commodity super-bubble to rival the dot-com bubble in 2000 and the subprime bubble in 2008. 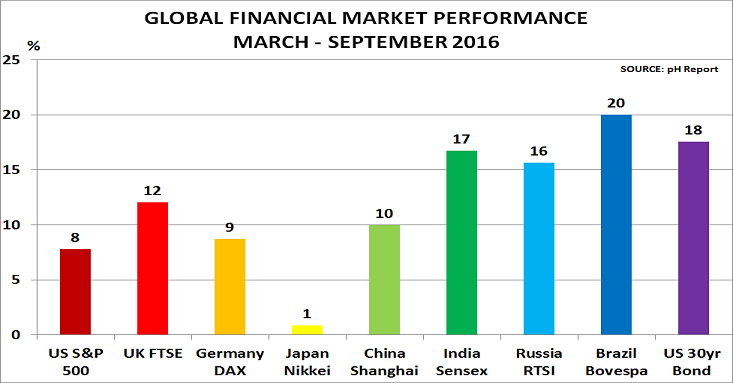 Now financial markets around the world are being hit by the contagion from the unwinding of this bubble. China’s Shanghai index is down 38% today from its June highs. London down 8% from its August peak; Frankfurt down 13%; and the US S&P 500 was down 6% in the week. This is what has been happening in recent days. As oil and other commodity prices have continued to fall, so the speculators have either had to sell their positions at a loss, or provide extra margin. In turn, this often meant they had to sell something else to raise the necessary funds. And all of this has to be done in a hurry, as margin calls have to be paid in full each night as the market closes. As the chart shows, the contagion has also been impacting the major chemical markets. They have been signalling for some time that all is not well with real demand, with operating rates well below pre-Crisis levels. Now we are seeing prices fall across the board, and revisit January’s lows, as buyers retreat. Of course, markets may stabilise in September as people return from holiday. But the risk is that the recent head-fake rally in crude oil has left companies with high inventories, as they bought ahead of rising prices. With demand in China and other emerging markets now weakening very fast, these inventories may take time to run down. In addition, last week’s report that Jurong Aromatics is in talks over debt restructuring, highlights the potential for wider disruption of supply chains if companies cannot wind down their inventories profitably.